They say all roads lead to Rome, well at least this one did. 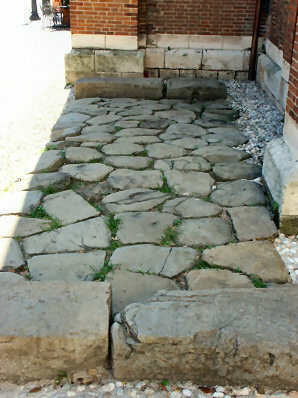 The roman road next to San Lorenzo dates back a long time. Excavations in Vicenza uncovered Roman aquaducts in Campo Marzo (the park in front of the train station) and other surprises under the square.